We are beyond excited to share that we have been named as a Top 100 Event Marketing Agency for 2018! For the last 11 years, Event Marketer Magazine has named us to the It List with the likes of MKG and Havas, recognizing our expertise in the experiential and event industry. This year we were highlighted for our work in street/guerrilla marketing, sampling, and in-store/shopper events. If you’d like to hear a little more about what we did to make the list for the 11th consecutive year, check out the blog below. On a rainy February day during SaaStr Annual 2017, Pendo brightened up the streets of San Francisco with their Southern Hospitality. 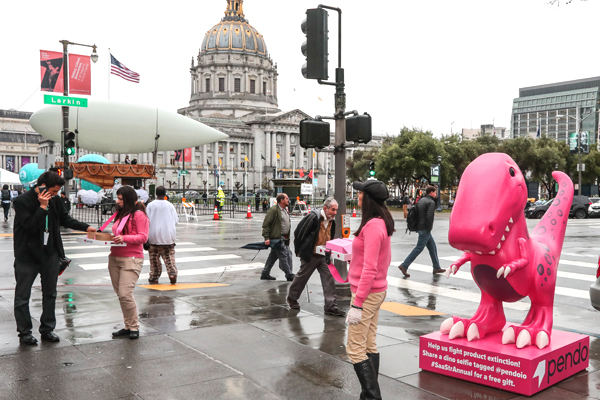 Moderne sent the Pendo Dino to the streets along with a team of brand ambassador equipped with cupcakes and a fleet of branded pedicabs giving free rides. By the end of the weekend SaaStr Annual attendees were well aware of Pendo's fight against product extinction and demonstrable Southern Hospitality! Last summer, Brisk hopped the pond from the UK to the US to help bearded men with their grooming routine. 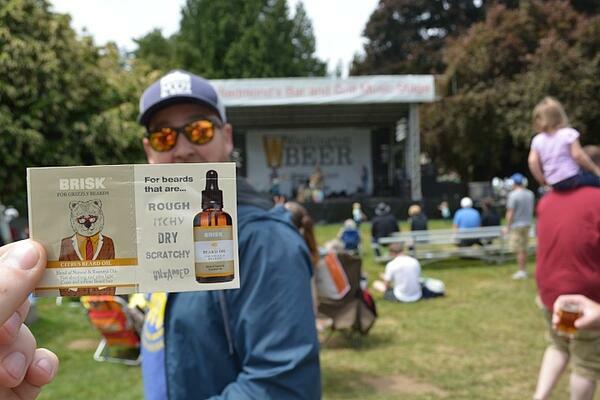 Members of the “unspoken beard fraternity” gave samples of Brisk’s citrus scented beard oil to millennial men at events like music festivals, beer festivals, and food festivals in New York, Los Angeles, Philadelphia, Boston, and Seattle. We’ve expanded the program this year to San Francisco, Pittsburgh, and New Jersey – check it out here! 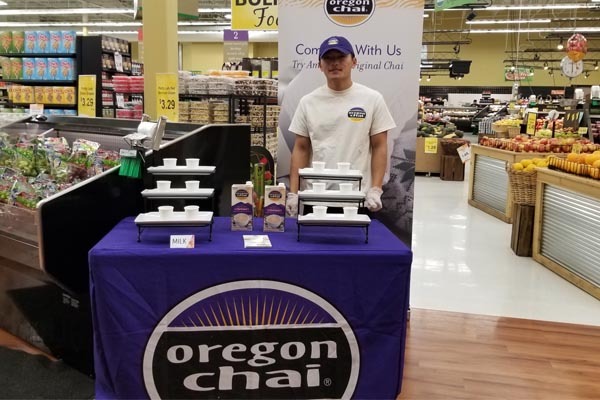 To warm up the cold winter in Minneapolis and give shoppers an afternoon pick-me-up, we sent our team of brand ambassadors to to give people a warm cup of Oregon Chai, a USDA organic certified chai tea drink. Over the one month program, we shared samples of the Original Concentrate with shoppers in Target locations and various grocery stores. Shoppers were given the option to sample the concentrate with milk or almond milk to accommodate those with nut or dairy allergies. Use the form below to send us an email. Old-fashioned phone calls work too!